Welcome to WaterCrest! This gorgeous beachfront condominium complex offers you endless fun, luxury, and convenience! 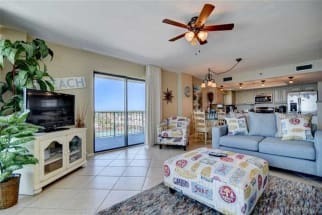 Emerald Coast by Owner is proud to be your premier vacation rental service for the complex! WaterCrest condos range from 2-3 bedrooms, sleeping 6-10 people! 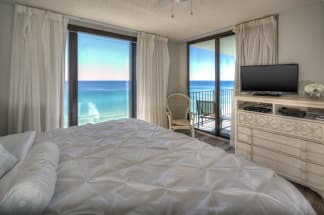 When you stay here, you'll be able to enjoy a beautiful view of the coast off of your private balcony, awesome location when it comes to activities and so much more! Each condo consists of a full-size kitchen, washer, dryer, Tv with cable, towels, dish soap, laundry detergent, and a few more essentials! Amenities for this complex include the racquetball court, tennis court, hot tub and pool, clubhouse, shuffleboard area and grill area! The fun doesn't end off WaterCrest property, in the heart of Panama City Beach you've got easy access to some of the best attractions in the area! A few things to try nearby include deep sea fishing, boat, and wave runner rentals, the Beach Therapeutic Massage and Spa, St. Andrews State Park, boat tours, parasailing and so much more! 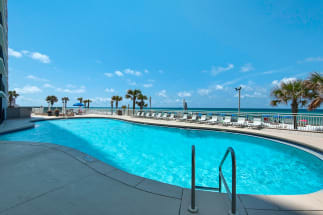 Browse our selection of properties at WaterCrest in Panama City Beach below. ECBYO makes it easy for you to contact the property owners and managers directly. Contact the property owners with any questions! We hope you enjoy your next dream vacation at WaterCrest in Panama City Beach FL.